Freerails > Model Railroad Forums > On30 > On30 Porter ... Old School Style ! On30 Porter ... Old School Style ! If I can ever get to the point where my efforts look half as good as yours, I'll be a happy man. Dave.................simply amazing!!! So glad to have you back, your kitbashing as I said before truly is amazing. What a great little tender to complement that engine. Thanks for sharing... I will post my 0-6-0 build for you. 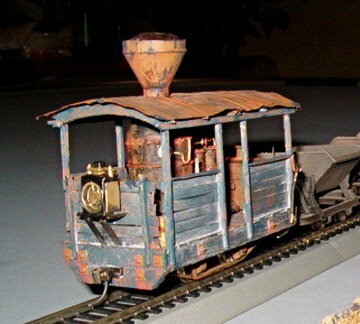 After I get done R/C-ing the two Bachmann 2-6-0's and finishing up the "IrishGems" Whiskey Distillery that is 3/4 done. Didn't want to get to far out with projects....yea right who am I kidding..
CEO, CFO & Cheif Engineer, Ry River R.R. Only when the wife lets me!!!! That tender & cab combo, is gonna look neat together. Didn't want to get to far out with projects....yea right who am I kidding..
My father worked in profanity the way other artists might work in oils or clay. It was his true medium, a master. Like the headlight, had not known Model Power has something with that style of light. Most folks wouldn't give it a second look. 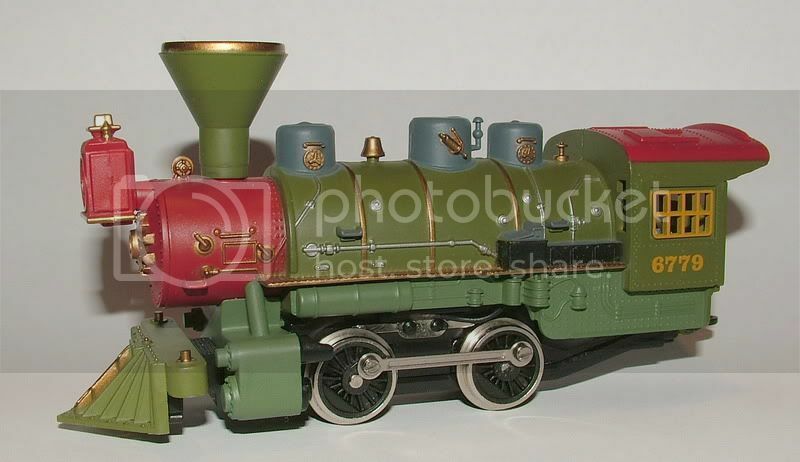 I grabbed it at a train show for $5 bucks a long time ago. I wanted it for the mechanism. Dave, love the tender. Is that a B-mann pass truck under there? That 0-4-0 was my first kit bash. Turned it into a 0-4-4, the head light is now on a vertical boiler climax and the boiler is on my 0-6-0 kit bash. Photos are in my gallery. I like your vertical boiler. Yeah, good eye, that's a B'mann passenger truck with bits removed from the side frames. I didn't like those end beams after viewing them in the photos, so I removed them and made up some beefier ones and used those instead. I still need to add some styrene or brass bar between the journals. I have not done anything on it in about a week. I was going to put a sound chip in there, but am holding off as I contemplate switching over to R/C in my locos. Sorry to bring this back from the dead, but I was wondering how it turned out Dave!